5 Gorgeous Necklaces For $5! You are here: Home / Instagram / 5 Gorgeous Necklaces For $5! 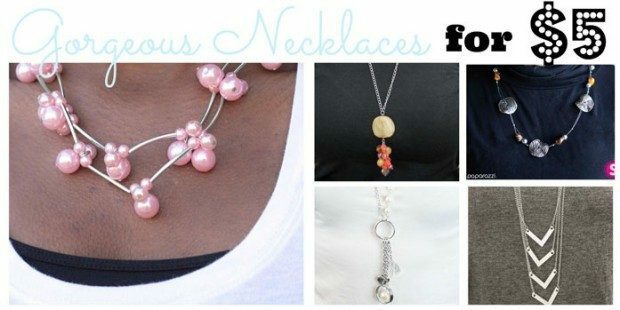 Check out these fabulous necklaces from Paparazzi! I love them all and the fact that EVERYTHING is only $5! Today, we are featuring 5 gorgeous necklaces for $5! 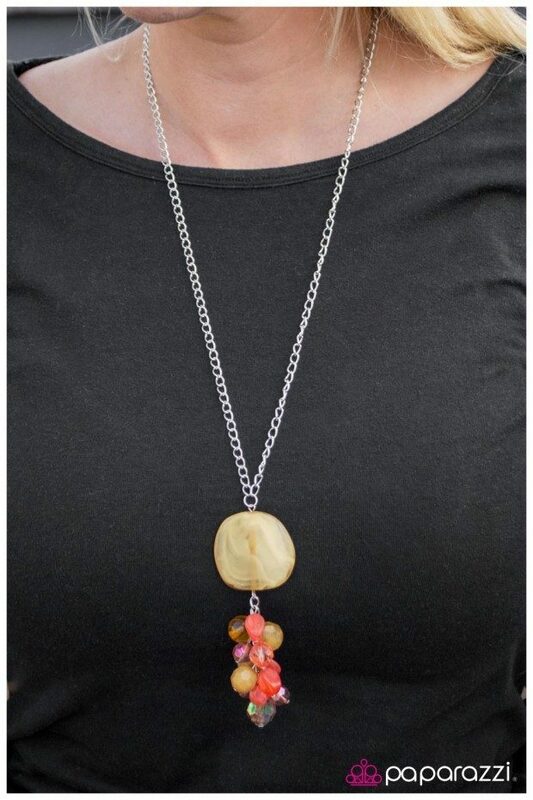 A large, flat yellow bead with a hint of marbled hues is the anchoring piece for a cluster of yellow, orange, and brown beads to swing freely. The brown beads in the cluster feature reflective, faceted edges that create a stunning light-catching display. Features an adjustable clasp closure. 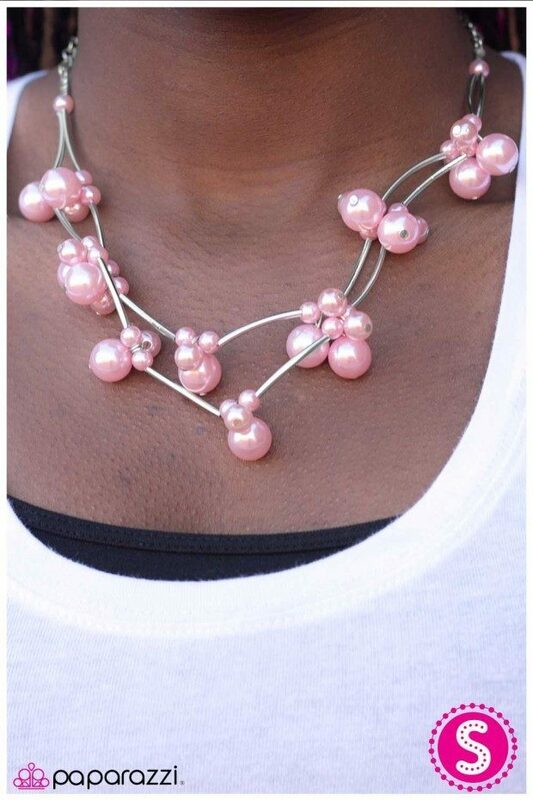 Clusters of baby pink pearls are connected by silver tubes, creating a fresh take on the classic pearl necklace. Features an adjustable clasp closure. Wavy silver discs etched with abstract floral texture are threaded along two strands of delicate wire. 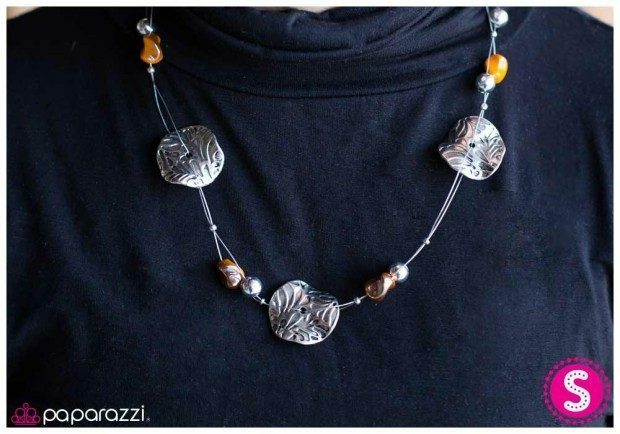 Silver beads in a high-sheen finish and orange beads in a glazed finish complete this artfully artisan design. Features an adjustable clasp closure. A long silver chain is adorned with sporadic white beads and a low-hanging cluster that features a large white bead, a translucent clear gem with faceted edges, a silver spiral for gorgeous texture and a silver heart engraved with a sun. Features an adjustable clasp closure. 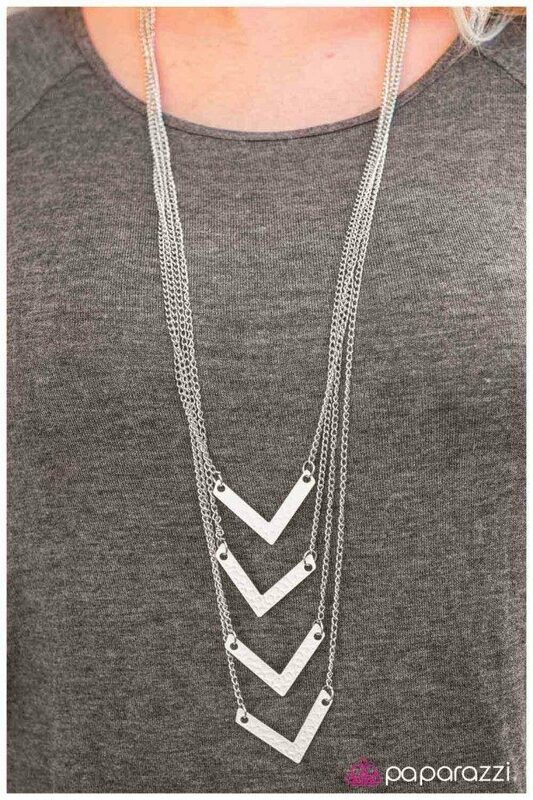 Four white, Chevron-shaped bars hang from tiers of long silver chain creating a dramatic, elongating design. Each bar has been hammered with texture to create the illusion of leather. Features an adjustable clasp closure. There are a ton of other pieces you can choose from – necklaces, hair bows, earrings, bracelets and more! PLUS, every $5 necklace purchase comes with a FREE set of matching earrings! Everything on the site is $5 each and shipping for the first item is $5.95 and and FREE on any additional purchases in the same order! Plus, you get FREE shipping on a $100 order or over!